For the collector with a grand collection, there is no better sword rack to have than this 16 Tier Sword Floor Stand. 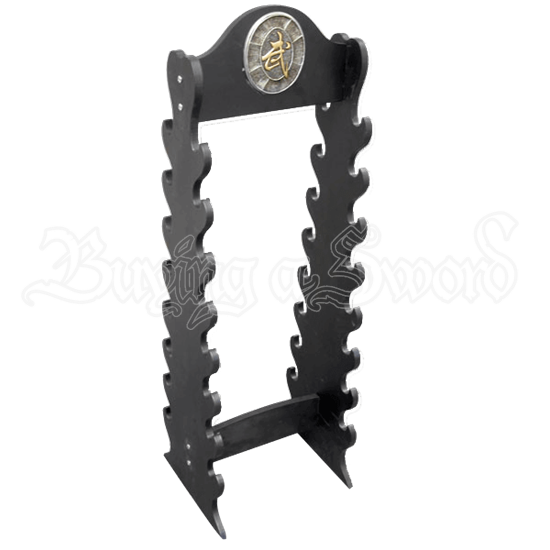 It is the perfect display piece, allowing any avid owner of bladed weapons to show off a considerable number of items with ease. This sword rack is a two-sided wonder that will easily display up to 16 swords, allowing any considerable collection of weapons to be set up as a display in your home. The stand is made entirely from hardwood and features a single support near the base, as well as a curved headboard near the top that is decorated with a metallic plaque that features a yellow-gold toned Japanese Kanji symbol at its center. 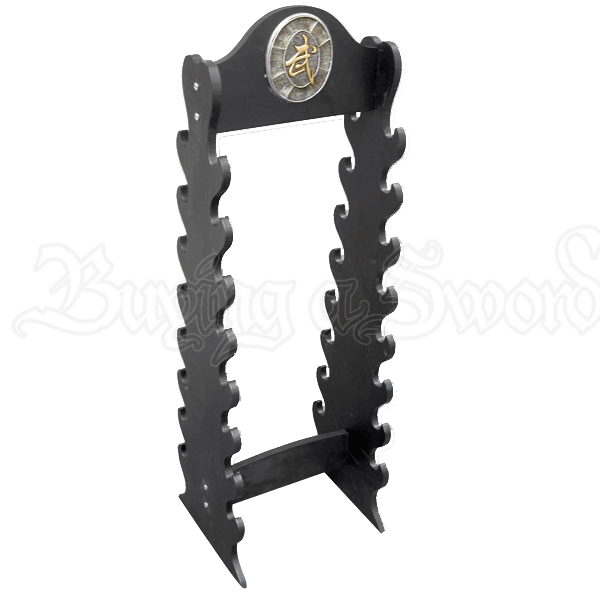 This sword stand measures approximately 36 inches high. It is a free-standing sword rack, which means that it does not need to be placed against a wall to ensure that it stays upright (overloading one side will unbalance the rack, though). For the serious collector who has swords aplenty, this 16 Tier Sword Floor Stand is the perfect way to organize and display your beloved collection with ease.